Growing up, I do not think I ever heard the word fiber. I can not say the same for my six year old son. He is very aware of foods that are high in fiber and why we eat them. Does that mean that he gets enough in his diet? No, he probably does not get enough fiber in his diet. TechyDad and I work very hard to try to offer the boys healthy food options that are rich in vitamins, minerals and fiber. 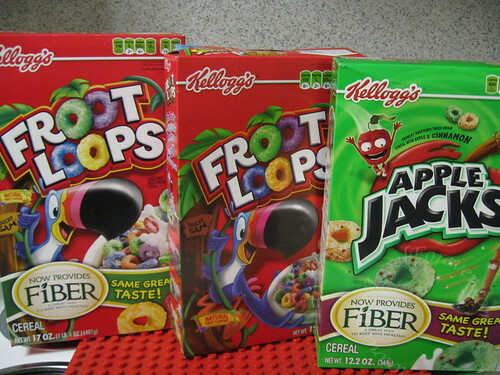 I recently was asked by Mom Central and Kellogg’s to try the new Apple Jacks and Froot Loops with fiber. I agreed to do this with my family since it was something that intrigued me as a parent. We were sent two boxes of the Apple Jacks with fiber and an original box of Froot Loops to taste test with the new Froot Loops with Fiber. 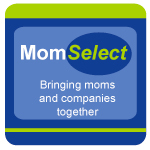 Kellogg’s® Froot Loops® and Apple Jacks® cereals are making fiber fun! 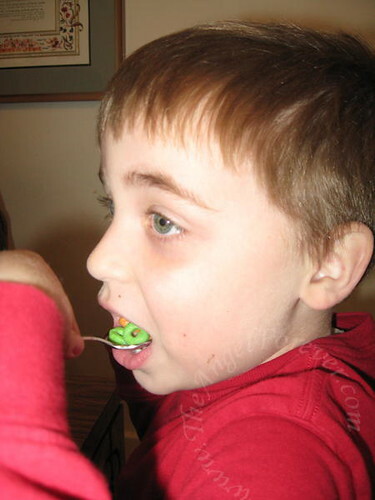 Sometimes it isn’t easy to keep your kids healthy with foods they love to eat. Fiber usually isn’t something that’s a part of a "fun" meal and studies have shown that 9 out of 10 kids don’t get enough fiber in their diets. Now there’s a cereal that your kids already know and love that also provides 3 grams of fiber in every serving-Kellogg’s® Froot Loops® and Apple Jacks® cereals. So, when your kids are eating the fun breakfast they love, they’re also getting the added benefit of a little fiber in every bite. It’s just the way kids like it! Fiber is a great way to keep your kids healthy. Fiber is part of a healthy diet for all kids. It helps aid the digestive system and helps nutrients to be absorbed to turn food into the energy your kids need, keeping them going throughout the day. And starting kids out right with healthful eating habits, like including fiber in their daily diets, is a great practice that’s likely to continue into the future. Kellogg’s® Froot Loops® and Kellogg’s® Apple Jacks® cereals now provide fiber. Kellogg’s Makes Fiber Fun™. When the boys saw the package arrive with the bright and colorful boxes of cereal, they were excited. First, we tried the Apple Jacks with Fiber. NHL (6) enjoyed them and was able to convince JSL (2) to try a bowl along with him. Both of them gobbled up their cereal and asked to open the Froot Loops next. We had to explain that we were going to do a taste test with those boxes over the weekend. Additional Apple Jacks was poured into the bowls and the boys were happy. TechyDad and I also enjoyed the cereal. It was more of a sweet treat for us, but we liked that it included additional fiber that is crucial for all of us. Last weekend, we did our Froot Loops taste testing. TechyDad poured bowls and asked NHL, JSL and I to try some of the cereal from each. We wanted to see if we could tell a difference in taste or if we liked one over the other. NHL thought the tastes were pretty similar. In the end, he said he liked one a little more than the other. Which one did he select? It was the Froot Loops with fiber! JSL liked both of them and being 2 really only wanted one thing – more! TechyDad and I both thought that they were almost exactly the same. When pressed, we both liked one a little more than the other. One had a texture that we liked a bit more and was not quite as sweet (we’re adults – sad isn’t it?!). Like NHL, we liked the Froot Loops with fiber more. 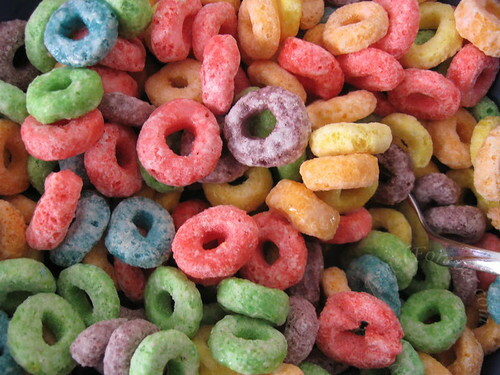 Here is a close up photo of both of the Froot Loops mixed together. Be sure to look for Apple Jacks and Froot Loops with fiber in a store near you. Disclosure: I wrote this review while participating in a blog tour campaign by Mom Central on behalf of Kellogg’s and received four boxes of cereal. 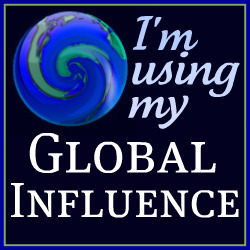 I will also receive a gift certificate to thank me for taking the time to participate. All opinions are my own, no other compensation was received.